Cruising has never been on my bucket list – unless it’s small ship adventure travel in the Arctic with Lindblad Expeditions. But those big liners? No. Way. I read the Poseiden Adventure when I was twelve and it scarred me for life. The Titanic movie didn’t help. Neither did the Costa Concordia running aground and literally falling over off the coast of Isola del Giglio, Tuscany in 2012. Mais oui, every time I read the travel section of any newspaper, there are super fabulous cruise deals… on almost every page. This weekend there were full- and half-page ads on 12 pages of the 16-page liftout. With all those amazing deals floating around (and just to prove I’m not totally pigheaded about these things), I asked some very cool cruisers what they liked and didn’t like about their voyages. The ‘unpack once’ thing got the biggest tick from everyone. Jo liked the idea of visiting a lot of different places but still coming back to the same ‘home’ every night. The next big tick was the food, which Fiona said was “too fabulous (depending on the cruise line you’re with)”. The best bit, I’m told, is having the food, drink and entertainment included but being able to choose what, where and when you indulge. Optional organized tours were another positive, especially when you know the ship won’t leave without you. And of course, there’s that much needed downtime because you have nowhere else to rush off to – except possibly the bar or the blackjack table. Other ticks go to the fact that everything is planned and looked after – a big one because a lot of us find the planning part so stressful, especially if you’re travelling with kids and need to keep them busy and interested! Then there’s the safety and security aspects, and an onboard ‘hospital’ (which, as we’ll soon see, is a necessity not a luxury!). Cyn found having to constantly talk to strangers a tough one. “And there are a LOT of them,” she said. While it might seem obvious that a fair few people will fit on those floating cities, Jo pointed out that the rooms usually aren’t designed as spaces to hang out in so you are forced to go out and socialise, whether you want to or not. Lots of people in close proximity create other problems. Like the possibility of being on a ship full of ‘screaming kids’ or people all 20 years older than you. Or the time it takes for the multitudes to disembark and embark in ports. And those dreaded gastric bugs that get around. As if that’s not daunting enough, Jo says adjusting to the constant movement of the boat is difficult, as is getting your ‘land legs’ back afterwards. Fiona found travelling between ports at night wasn’t great – especially in the Alaskan Inside Passage, where you miss all the great scenery. “You also can’t stop in port for a few days, which you might do if you’re travelling independently,” she said. 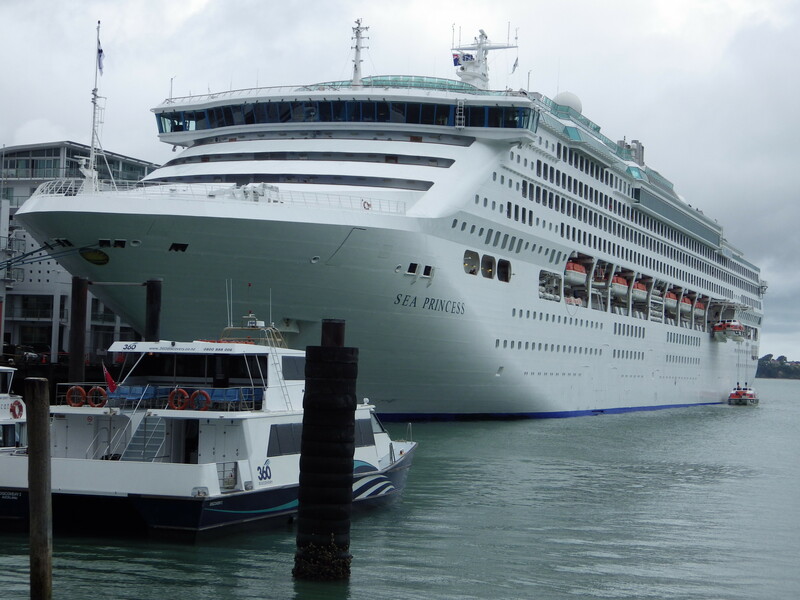 So while cruising is an awesome (and these days more affordable) holiday choice for many people, I’m still not convinced I could be trapped on a ship for long periods of time – and I know EB definitely couldn’t. 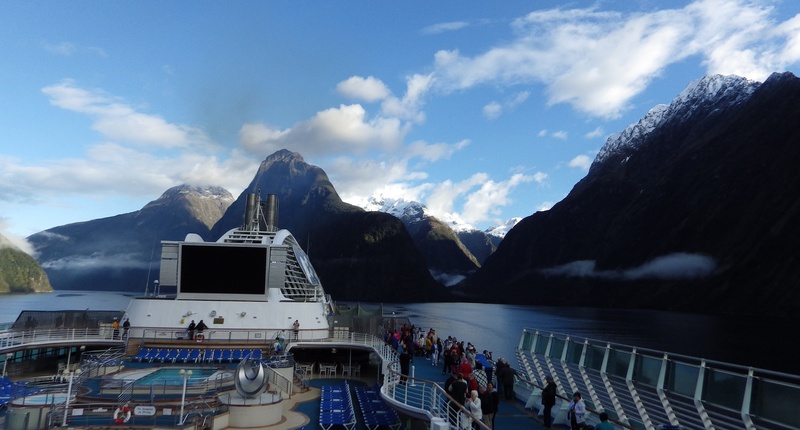 This entry was posted on Sunday, February 23rd, 2014 at 8:18 pm	and tagged with cruise deals, Cruise ships, Cruising, Destinations, Life, Lindblad Expeditions, New Zealand, travel, travel deals, vacation and posted in Travel, Travelling with kids, Uncategorized. You can follow any responses to this entry through the RSS 2.0 feed. « Where are you heading this year? 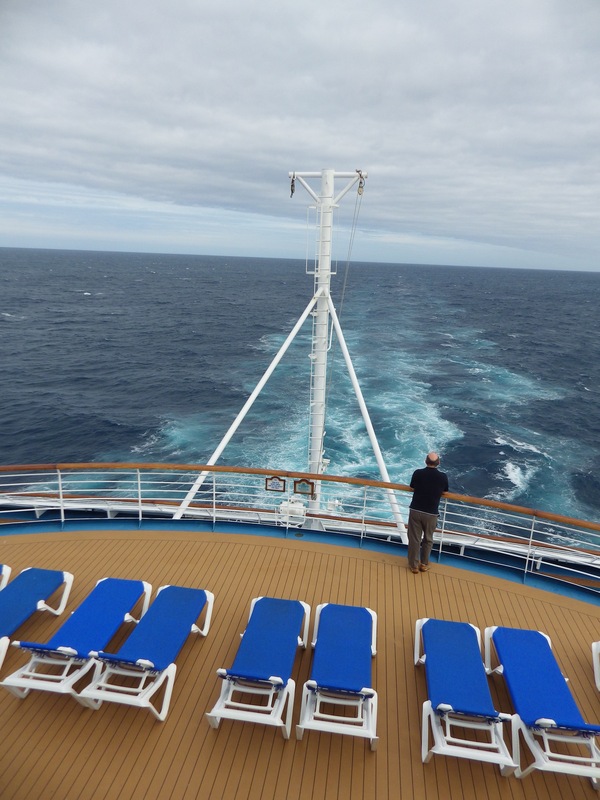 I agree with you – cruising has never been at the top of my list. There are some pros – certainly, but the cons have outweighed them for me so far. But those river cruises in Europe and China might have me willing to step on a 7 day boat ride! They look pretty neat!